The price of this would be astronomical in Sterling Silver and it would also be extremely heavy, so we’ve created it in lightweight metal, with a very thick layer of Silver plating. It all adds up to the perfect all-year-round necklace. Looks fab on flesh. Superb on a sweater. Brilliant on a blouse. And totally luxe between the lapels of a jacket or tux. 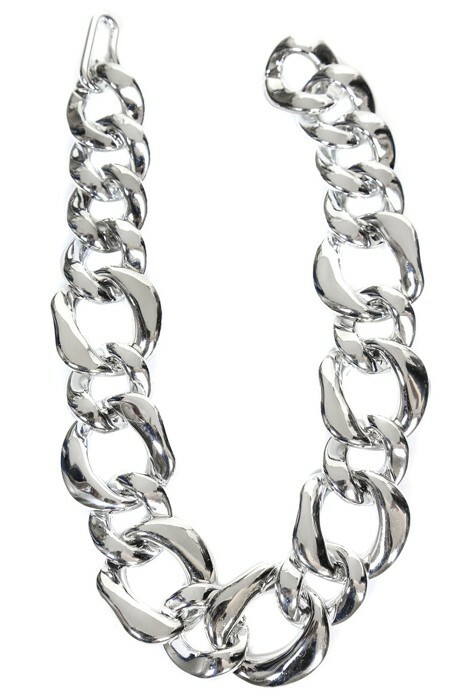 No frills, no fuss, just a mega chain that ticks all the boxes in terms of fashion and adding a stunning finishing touch to virtually any outfit. Great with jeans, but equally show-stopping with your LBD, it’s the necklace you’ll go-to any time, any place, anywhere. Big hook closure. Size 48cm (19”).